It is an exciting time to study Biology, from the ability to read and change DNA sequences to advances in our understanding of health and environmental issues that affect biodiversity, food production and disease. A new era has arrived in which we have the opportunity, through understanding and applying biological knowledge, to find pioneering ways to address individual, regional and global issues that affect our changing world. This biology course has been developed utilizing the internationally recognised expertise and facilities of the University of Hertfordshire, Oaklands College, Rothamsted Research and The Royal Veterinary College. It is aimed at students who wish to enhance their understanding of plant and animal science, with particular regard to food production and security, ecology, environmental issues and sustainability, both in the business world and in the management of animals, plants and land. Our Applied Plant and Animal Biology degree is designed to develop a wide range of skills in the field of biology and to give students practical experience, with an option of a work placement or a year of study abroad. You will study life at all levels from molecules to cells, whole organisms to ecosystems. You will gain the technical, analytical and practical skills needed to investigate and manage biological phenomena in microorganisms, fungi, plants and animals in conjunction with their interactions with the environment. Teaching delivered by experts from the University of Hertfordshire, Oaklands College, Rothamsted Research and The Royal Veterinary College. Field work is a key aspect of the study of biology and we are ideally placed for students to carry out practical elements of the course in our laboratories and to undertake fieldwork in pursuit of final year dissertations. There are also opportunities to get involved in ecology activities at the University of Hertfordshire’s Bayfordbury field station, such as beekeeping, bat watching, and woodland management. High student satisfaction and a good study community in the Department of Biological and Environmental Sciences. Teaching Excellence and Student Outcomes Framework (TEF) Gold Awards for the University of Hertfordshire and The Royal Veterinary College for delivering consistently outstanding teaching, learning and outcomes for its students. The degree provides a stepping stone to a wide range of careers. Our graduates from the Department of Biological and Environmental Sciences are highly sought after by employers due to the reputation of our teaching, the vocational element to our degrees and the fact that many of our students already have a year's work experience when they graduate which they gain in the sandwich year. Applied Plant and Animal Biology graduates would be employable in biotechnology, farming, food and pharmaceutical industries; environmental agencies, regulatory bodies and government, as well as in industrial, academic and charity funded scientific research. You will develop your capacity for independent study and interpersonal skills on this programme. Alongside traditional teaching methods of lectures, laboratories, workshops, projects and tutorials, you will have access to extensive Learning Resource Centres, incorporating libraries and computer centres at the University of Hertfordshire, The Royal Veterinary College, Oaklands College and Rothamsted Research, providing a wide range of on-line resources including full text electronic journals and dedicated study rooms. 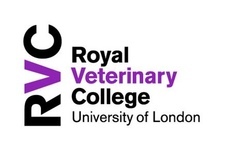 Support for taught modules is provided through the University of Hertfordshire’s managed on-line learning environment – StudyNet - a university-wide set of systems and tools for educational delivery; RVC Learn – dedicated platform for online learning at Royal Veterinary College also supporting Computer Aided Learning (CAL). An academic tutor at each of the partner institutions will also liaise with the Programme Leader at University of Hertfordshire to support students on course. There is an emphasis on structured study, well-prepared written and verbal presentations and computer literacy. Assessment may be in the form of coursework, directly observed practical skills or examination. Coursework may take a variety of forms and could be individual or group work. In your final year you will normally have the opportunity to hone your independent study and interpersonal skills by undertaking a major project or dissertation. This course offers you the opportunity to study abroad before your final year through the University's study abroad programme. Study abroad opportunities are available worldwide and in Europe under the Erasmus+ Programme. Find out more about Study abroad opportunities. 72-168 UCAS points. Entry is typically at level 4 (first year), with ‘A’-level or equivalent qualifications. Intake is semester A (September). A Levels: A minimum of two A-levels including 1 science GCE A Level (or equivalent). Acceptable science A-levels are Biology, Chemistry, Environmental Science, Geography, ICT, Maths, Physics, Psychology and Sports Studies. All other tariff points will be counted. BTECs: BTEC Extended Diploma in Applied Science, Animal Management or Health and Social Care, minimum grade MMP. All other tariff points will be counted. Plus, GCSE English language, mathematics and double science at grade 4 or above (or 2 single sciences). A minimum IELTS score of 6.0 is required for those for whom English is not their first language. We also accept the Access to HE Diploma – Science. Our standard Access offer is an overall merit profile in 45 Credits at Level 3. In addition, GCSE English language at grade 4 or above, or a minimum IELTS score of 6.0 overall and a minimum of 5.5 in each band is required for those for whom English is not their first language. Students who undertake a placement year may be required to complete a satisfactory Disclosure and Barring Service check and also an Occupational Health check, prior to taking up the placement as a requirement of the place of work. The programme is subject to the University's Principles, Policies and Regulations for the Admission of Students to Undergraduate and Taught Postgraduate Programmes (in UPR SA03), along with associated procedures. These will take account of University policy and guidelines for assessing accredited prior certificated learning (APCL) and accredited prior experiential learning (APEL).